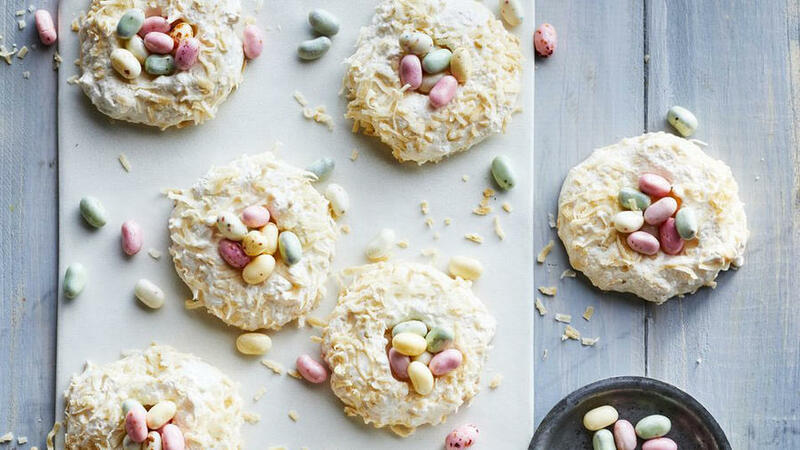 Easter comes just as farmers' markets are crowded with new asparagus, fresh-dug carrots, and the first foraged wild mushrooms. 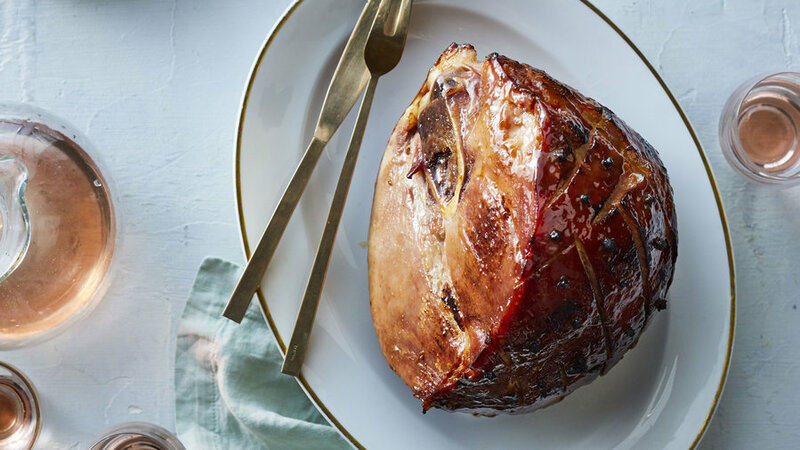 These flavors usher in the new season, and they're the inspiration for our simple, elegant holiday feast. 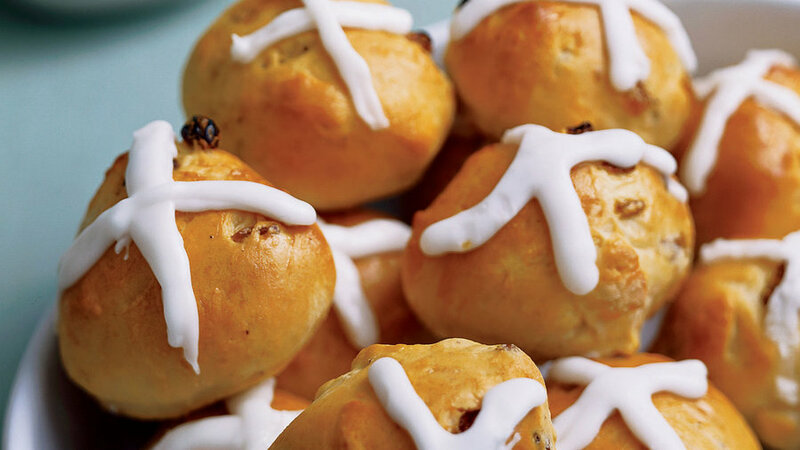 Despite the old rhyme, hot cross buns are no longer one a penny, but a quick shortcut makes them an Easter tradition well worth reviving. Hours of cooking on very low heat makes this lamb fall-off-the-bone tender, and a blast of high heat at the end crisps the surface. 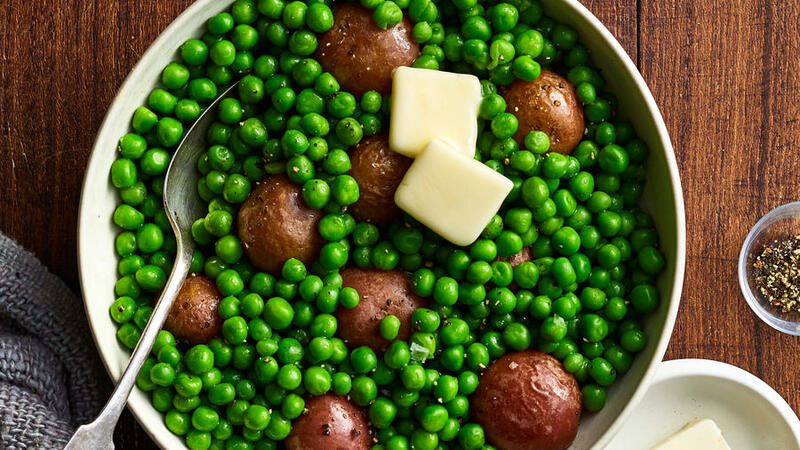 All you need to round out the dinner are mashed potatoes and a salad. 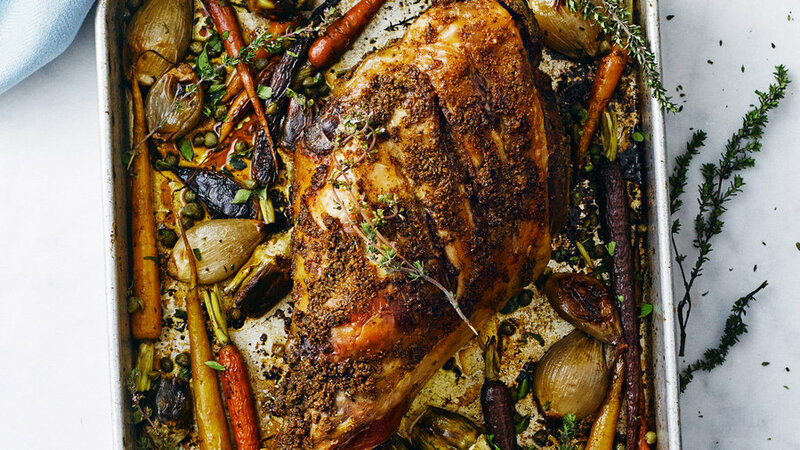 Fennel seeds and rosemary perfume every bite of this tenderest of cuts. Mint jelly is traditional with lamb, but not everyone loves its cloying sweetness or garish color. 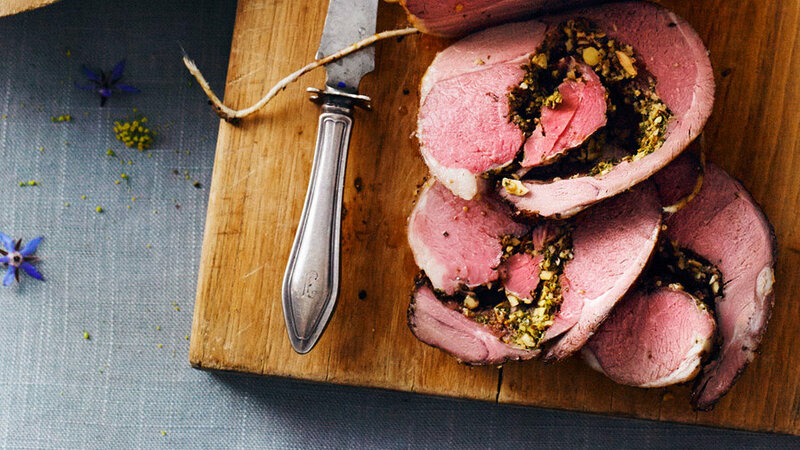 This fresh mint pesto takes a more savory direction, and is rolled up in the lamb to flavor it as it roasts. 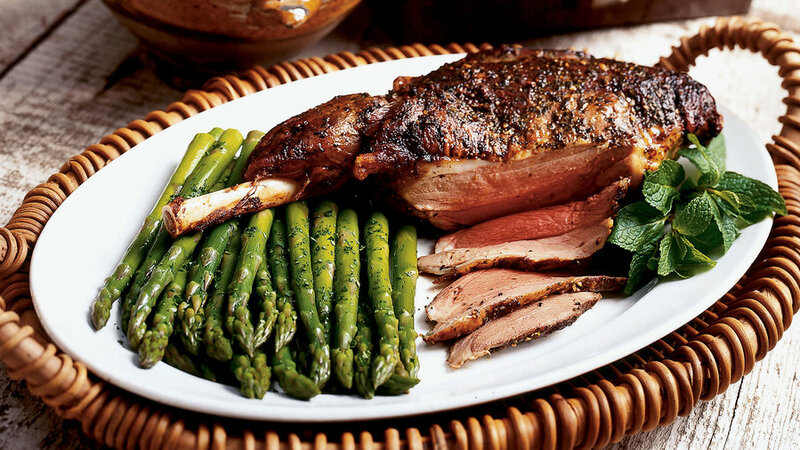 This Portuguese-inspired menu bursts with the spring flavors of fresh vegetables and tender lamb, embellished very simply with garlic, herbs, and olive oil. 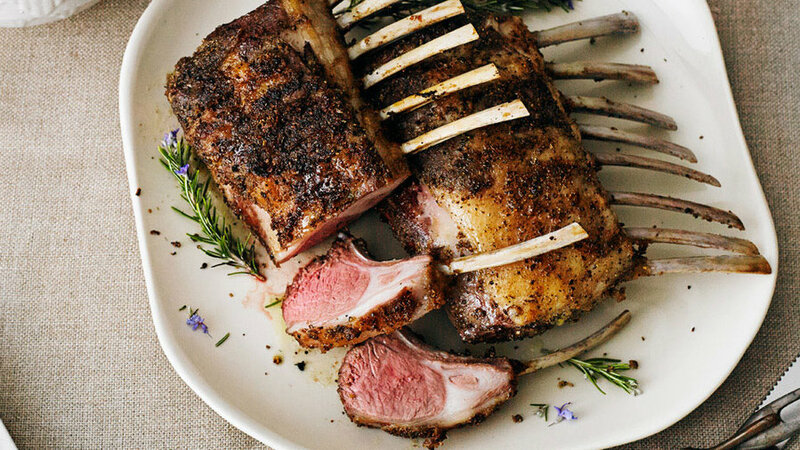 Marinating the racks before and after browning infuses them with extra flavor; it also minimizes last-minute cooking ― the racks can stand for up to 4 hours, ready to be finished quickly in a hot oven. Beautiful little flageolet beans are a classic accompaniment for lamb, but you can use pretty much any dried white bean for this recipe. 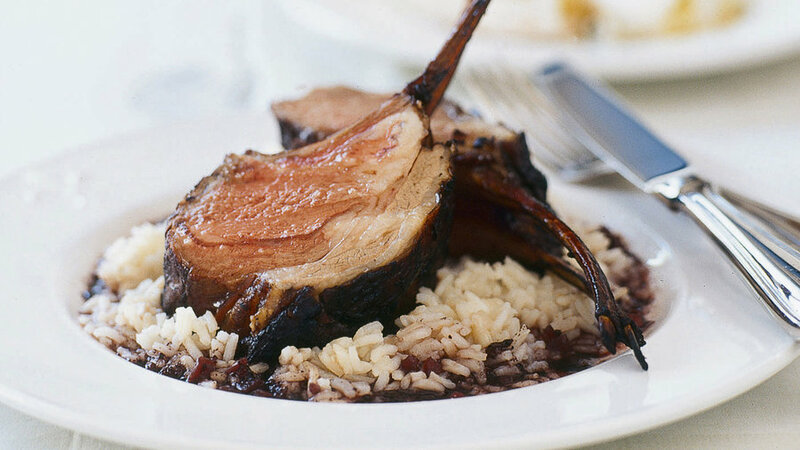 Crisp-tipped, juicy, and tender, these spears are great with lamb or fish. Opt for fat asparagus—the spears will be tender but not mushy when the tips are crisp. Lemon zest, versus juice, gives a lot of flavor without too much acidity or moisture. 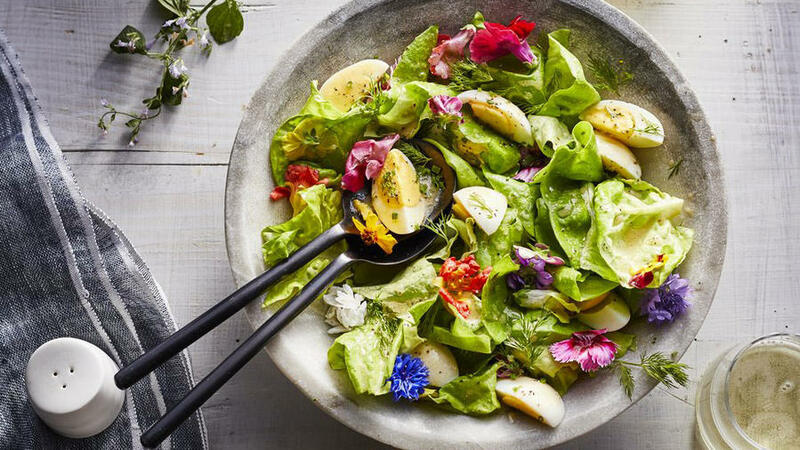 If you don’t have blooming herbs for this salad—like the fennel flowers and blue borage blossoms we harvested from the Sunset test garden—buy edible flowers like Johnny-jump-ups or nasturtiums at well-stocked grocery stores. Or just skip them; the salad will still look and taste lovely. So often a supporting player in recipes ― helping cakes rise and thickening sauces, for instance ― eggs get star billing here. 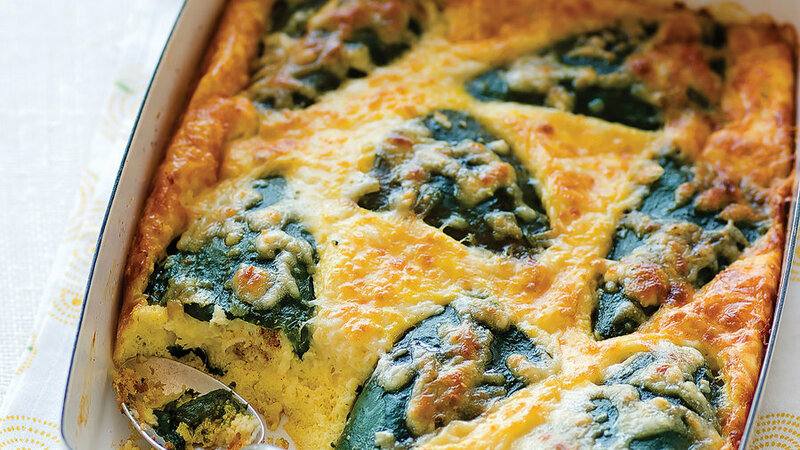 This dish is perfect for a spicy Easter brunch. 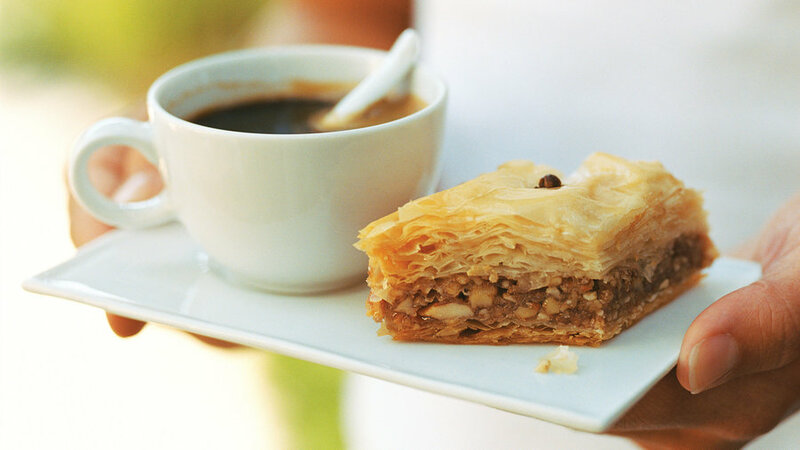 Flaky baklava with a glass of strong coffee is a sweet ending to a classic feast of Greek spring lamb with with herbs and delicious sides. 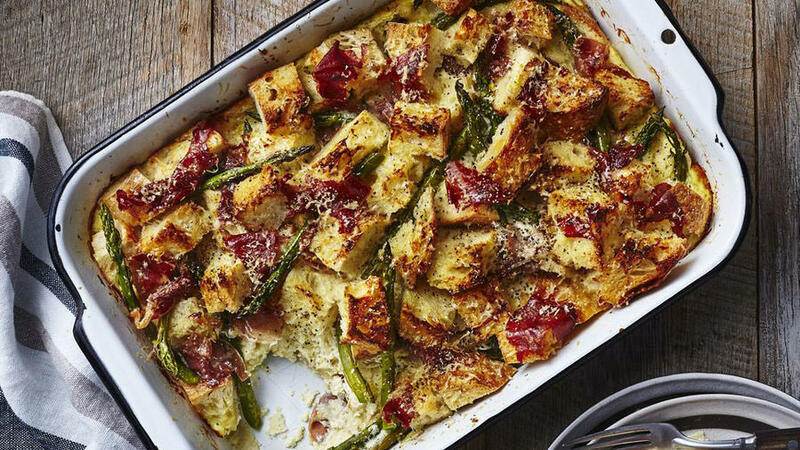 Celebrate Easter with a stress-free menu featuring savory Asparagus and Proscuitto Strata, Black-Currant Scones with Lemon Glaze, and Strawberry-Marmalade salad. 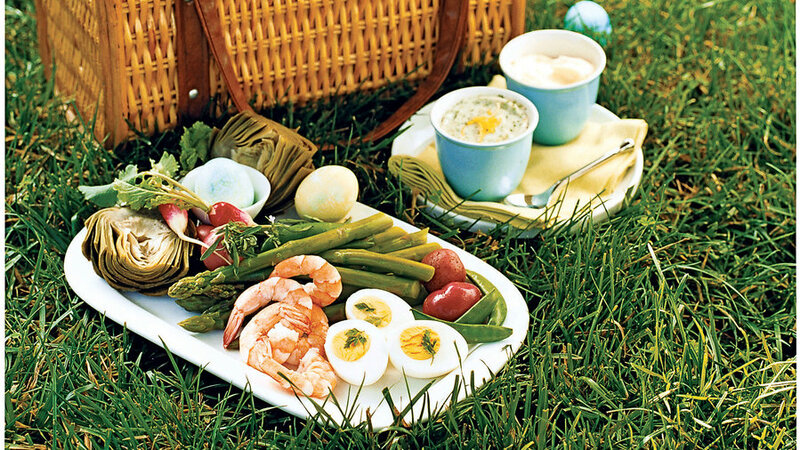 Savor the season with a fast and fresh picnic of bright green sugar snap peas, asparagus spears, tiny red potatoes, crisp radishes, giant artichokes, sweet red strawberries.